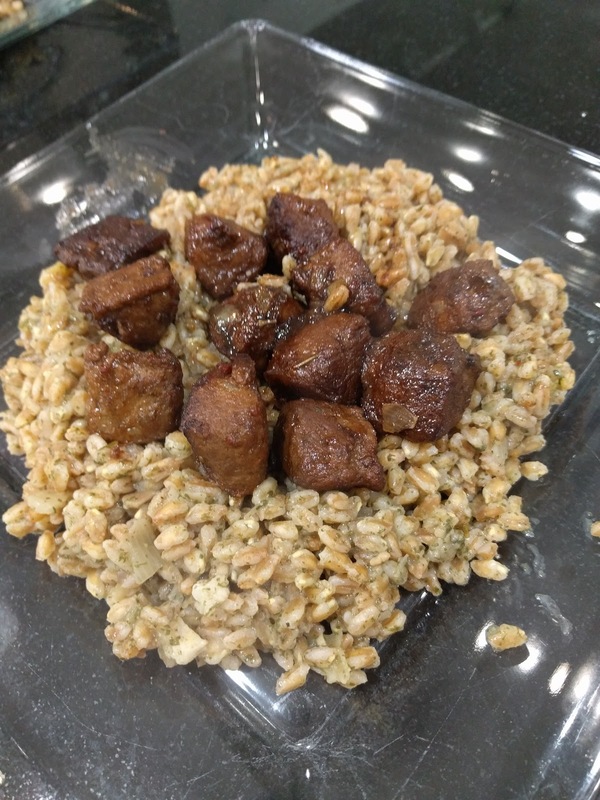 The farro, mushroom and rosemary are a nice compliment to the beefless tips. The farro, as a grain, cooks like rice and has a nice nutty texture to it. The liquid smoke always adds a special flavor touch. Start by cooking the farro as per package. Next, cook the beefless tips as per package, adding liquid smoke to flavor/taste. Spoon farro onto plates and top with the beefless tips.